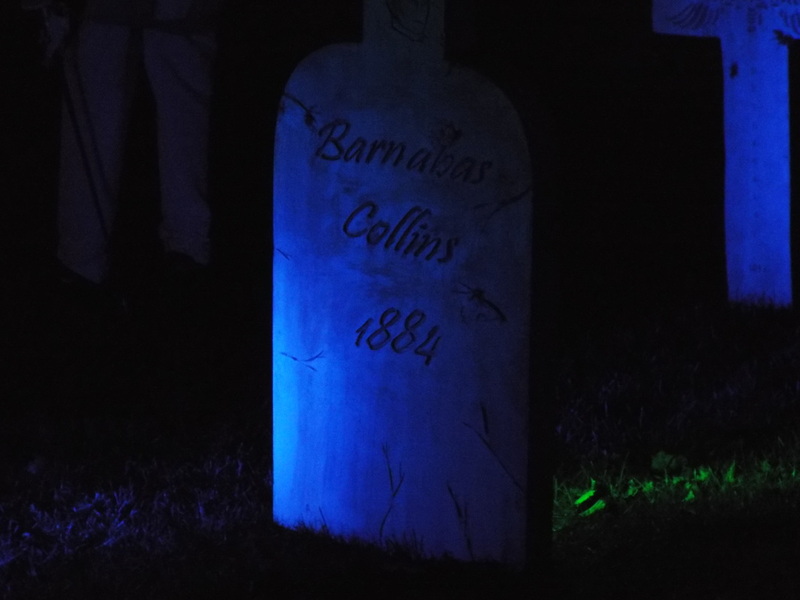 Initially, Ghoulson Family Reunion was a haunt that we thought was brand new for the Tourers in 2014. 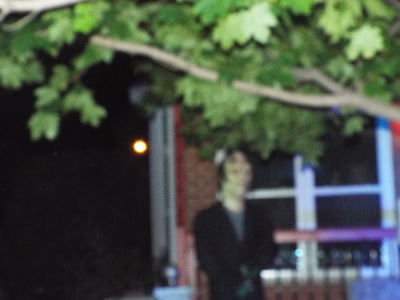 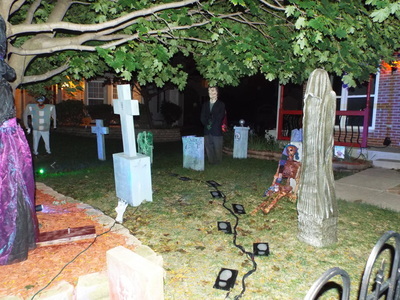 However, once we arrived we realized we had actually visited this haunt last year, when it was called Lakewood Valley Horrors. Despite the name change, the haunt had remained mostly the same, retaining the qualities that we enjoyed about our last visit. 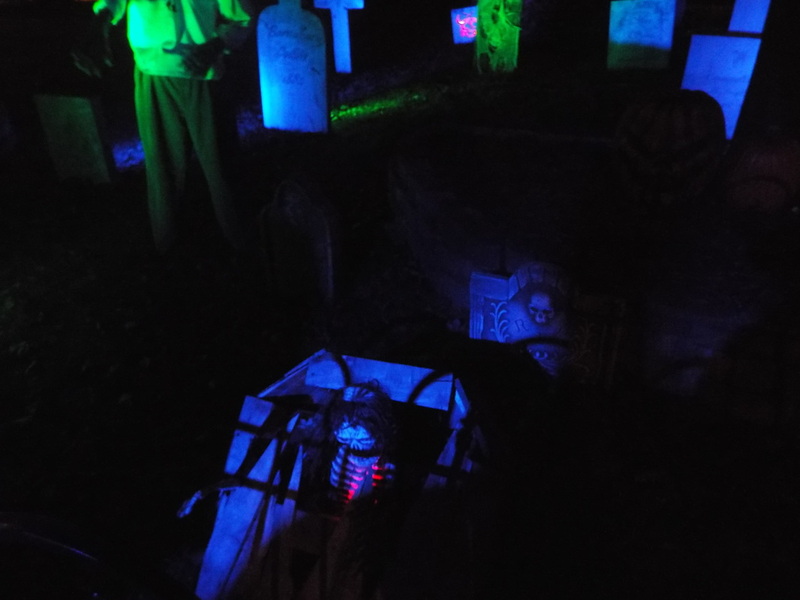 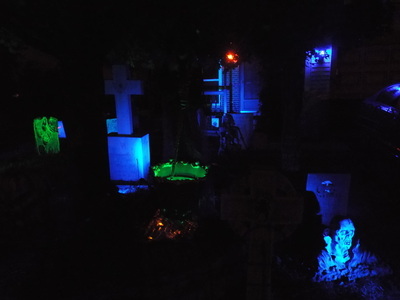 This display is primarily set up like a graveyard, with tombstones and various figures scattered around. 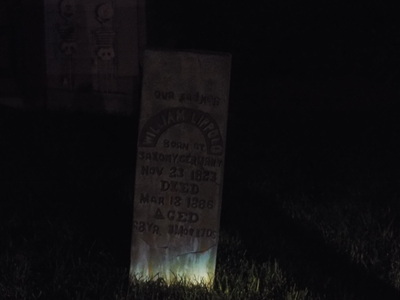 Both sides of the driveway feature tombstones, including one on the right side that looks just like an old Civil War grave marker. 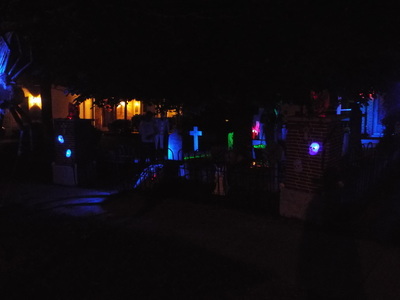 The majority of the display is located on the left side of the property, though. The cemetery is surrounded by a fence and bordered by two pillars with gargoyles on top and skulls around the sides. 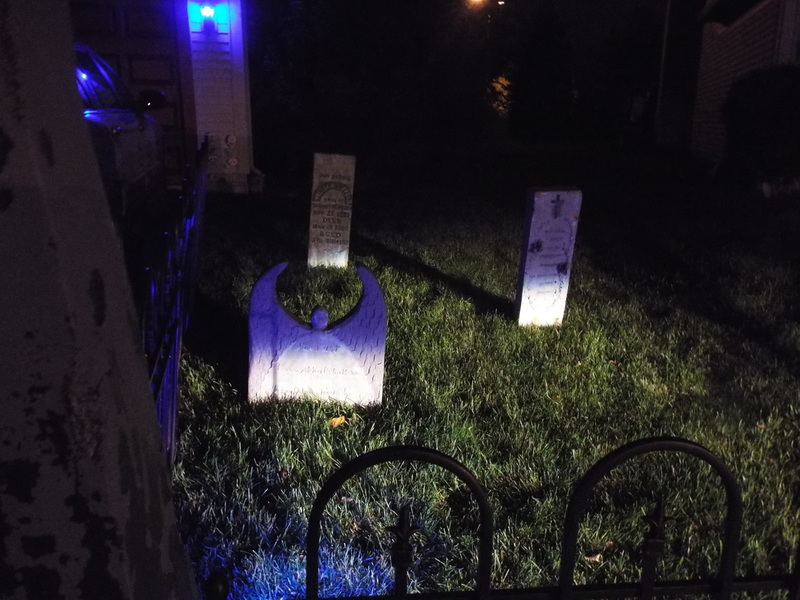 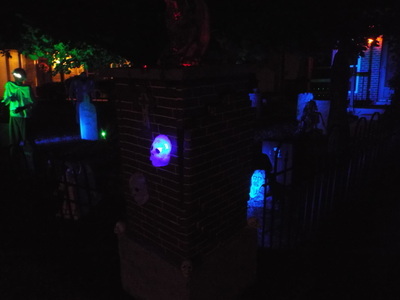 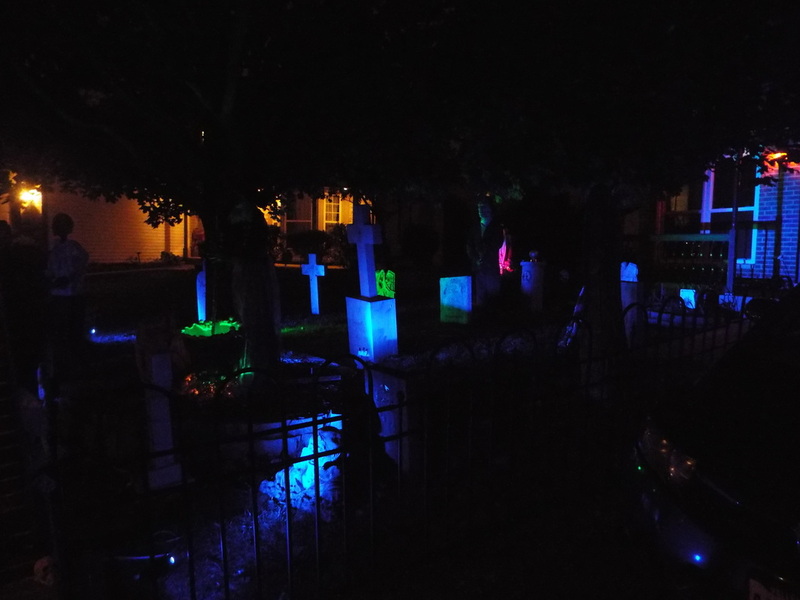 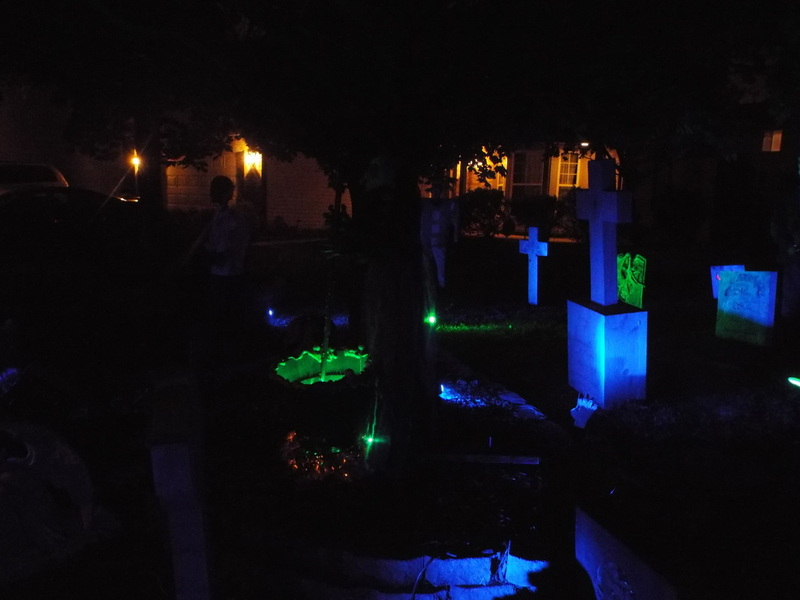 The tombstones are bathed in green, red, and blue lights, which is a rather nice lighting combination, giving the entire display a Disneyesque feel. 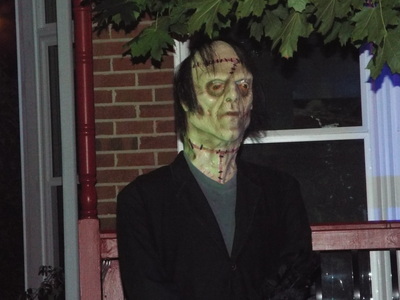 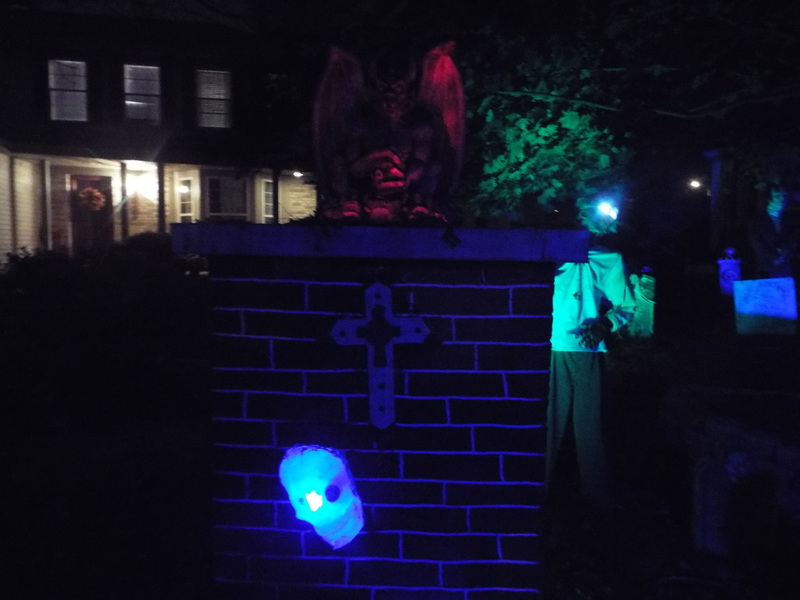 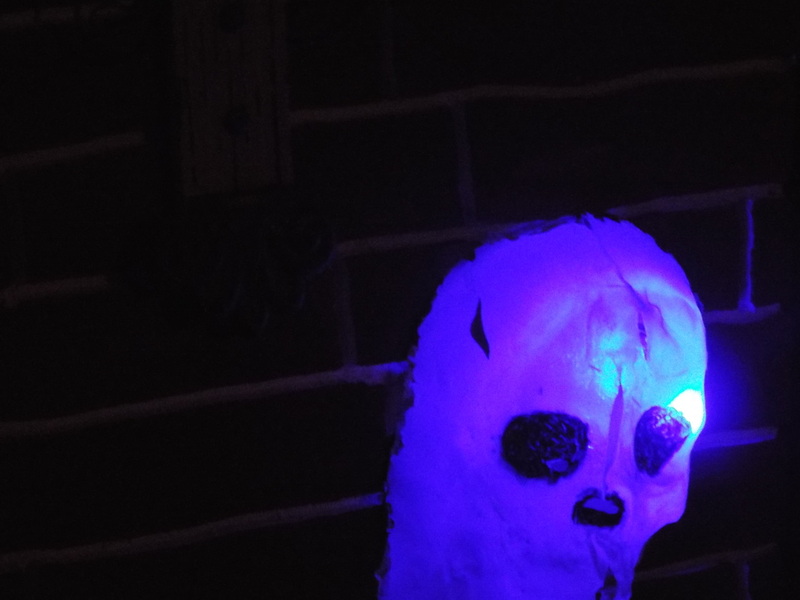 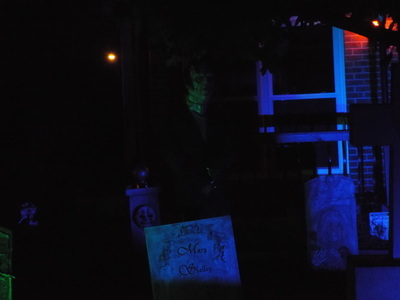 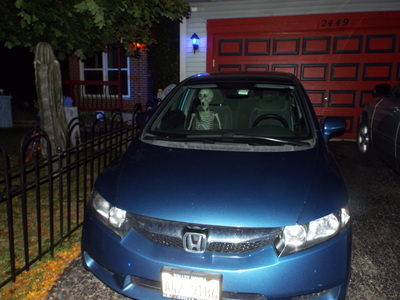 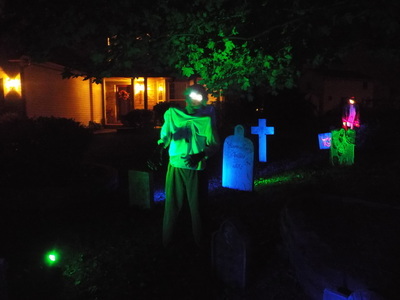 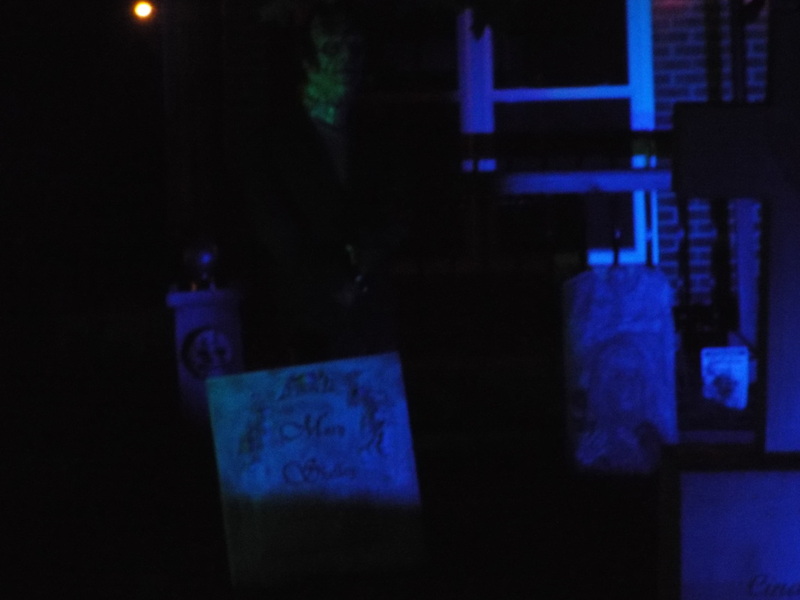 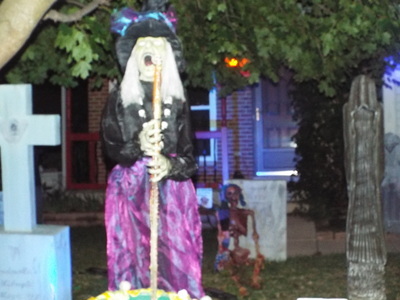 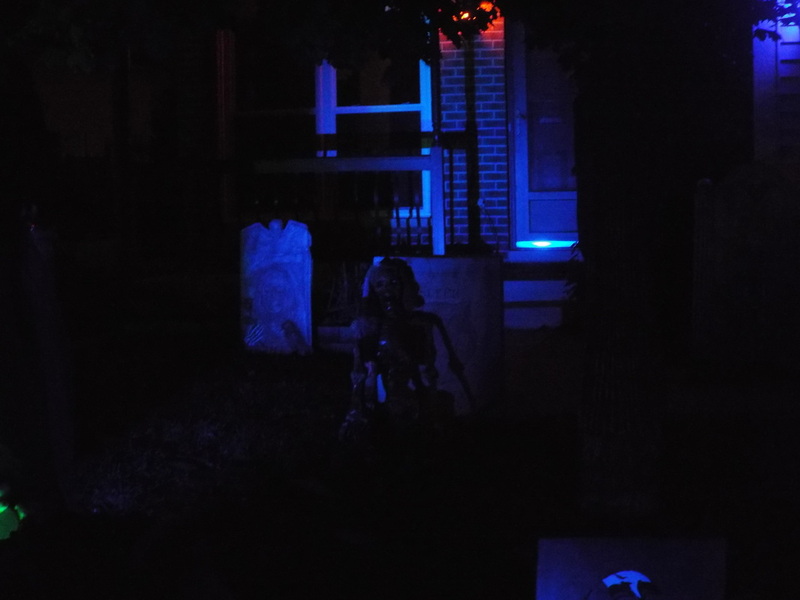 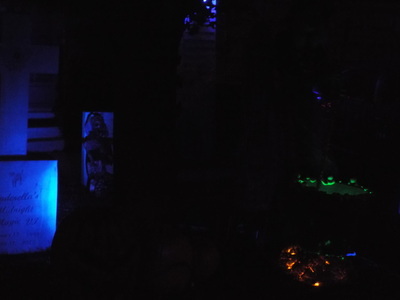 Some of the large figures on display include a moving zombie figure with light up eyes, a witch stirring her witches' brew, pirates, skeletons, and even a creature that looks like Frankenstein's monster standing on the porch. 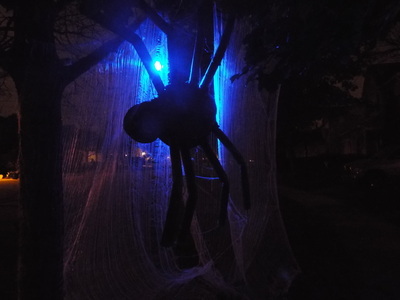 Overlooking all of this is a giant spider hanging from a huge web in a tree behind the main display, which is also bathed in a cool blue light. 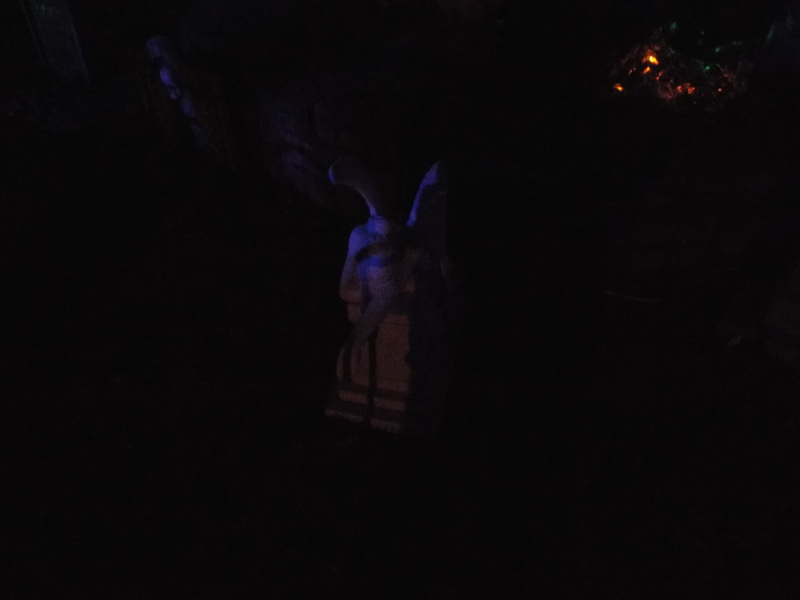 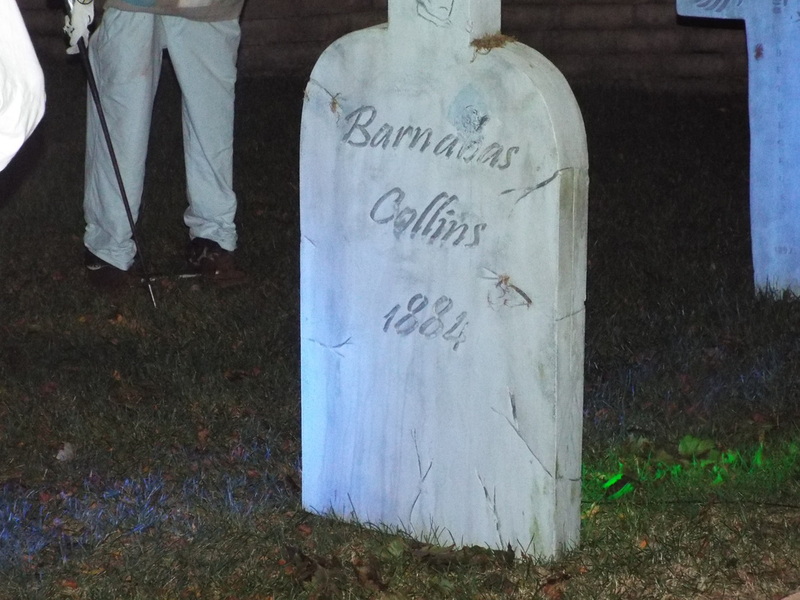 One other thing to mention is that this display features one of the few nods to the Dark Shadows TV series that we have seen in the form of a Barnabas Collins tombstone, complete with tiny effigy of Barnabas on top. A nice touch!